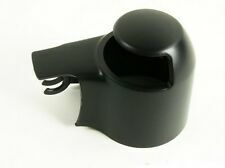 2 FRONT WIPER TYPE AEROTWIN V SEAT ALTEA ALTEA XL 5P5 03/2004-UP 5P1. • SEAT ALTEA ALTEA XL 5P5 from 03/2004 5P1. It can be mounted instead of the original ones. Pair of flat wiper brushes. • Two flat wiper (2 x 650mm). 05/2006 1390 55 75 BCA Hatchback. 12/2012 1984 195 265 CDLA Hatchback. IMPORTANT NOTES: Chassis no. to: 1K-9-899999. CFHC Hatchback. 12/2013 1968 103 140 BKD. 12/2010 1896 66 90 BXF Hatchback. CLCA Hatchback. 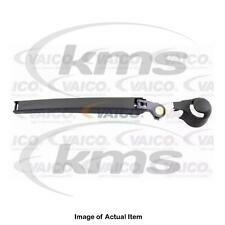 2 FRONT WIPER TYPE AEROTWIN V VW TOUAREG 7 L 10/2002-05/2010. • VW TOUAREG 7 L 10/2002 to 05/2010. It can be mounted instead of the original ones. Pair of flat wiper brushes. • Two flat wiper (2 x 650mm). 2 FRONT WIPER TYPE AEROTWIN V PEUGEOT RCZ FROM 03/2010. • 03/2010 PEUGEOT RCZ. • PEUGEOT 508 & 508SW SW from 10/2010. • PEUGEOT 108 from 05/2014. It can be mounted instead of the original ones. Pair of flat wiper brushes. It can be mounted instead of the original ones. Pair of flat wiper brushes. • Two flat wiper (2 x 650mm). • CHEVROLET VOLT from 2012. • Quick and easy assembly. • Citroën C1 II 2 from 05/2014. Our conditions general of sales here. 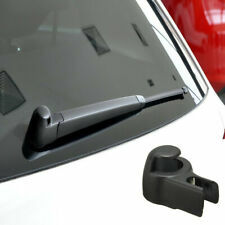 2 FRONT WIPER TYPE AEROTWIN V PORSCHE CAYENNE 10/2002-05/2010. • PORSCHE CAYENNE from 10/2002 to 05/2010. It can be mounted instead of the original ones. Pair of flat wiper brushes. • Two flat wiper (2 x 650mm). It can be mounted instead of the original ones. Pair of flat wiper brushes. • Two flat wiper (2 x 650mm). • CHEVROLET VOLT from 2012. • Citroën C1 II 2 from 05/2014. Our conditions general of sales here.